20 Unusual Baby Sleep Tricks Moms Say Work EVERY.TIME. Sleep is a beautiful thing, and if you are a new mom or dad, then you understand just how much you took sleep for granted. I am pretty sure I am still trying to catch up on the sleep I lost when I was delivering my baby, and of course all the early sleep less nights. When you are a seasoned mom, you kind of know what you are getting into in terms of sleeping, but you have (hopefully) picked up some tricks along the way. I know that I only have one, but I feel like I know some tricks to try when baby #2 comes along. We all know the normal things you can try to get your little one to sleep. Swaddle, rock them and a pacifier, but what happens when none of those work? You start to branch out and ask your friends and family what else you can try before you end up pulling all your hair out. Some babies just don’t like to sleep, they want to party at all times of the night. So parents will try just about anything to get the rest that they desperately need. The benefit of joining the mom club (yes, I think it is a club) is you have a fountain of knowledge at your fingertips. Mom’s know what’s up, and they know your pain so when they find a trick that works, they are more than happy to share it with you. We have found 20 weird, and not so weird, tricks mom’s swear will get your baby to sleep! "One time I was having a little party at the house, and each person who arrived paused in the entryway, listened for a moment, and then asked, 'Is that your vacuum cleaner running upstairs?' At which point, I told them to just ignore it. It was in the hall outside my daughter's room because it was the only way I can get her to nap!" This is just about pure genius, and it actually works for a very good reason. The vacuum acts as a white noise machine. When a newborn comes home, they are thrust into this silent world, where the place they just spent the last 9 months was anything but silent. The womb is a loud place, and it is very helpful to try and mimic the noise that the baby heard in the womb. That is why so many mom’s praise the white noise machines! "When my daughter was just a few months old and my oldest was in swimming lessons, we found that every time we went to his lesson she would fall asleep and nap the entire time. So at home, we downloaded a swimming pool white noise recording and she would fall asleep within a couple of minutes." I bet when you saw the title, you thought I was going to tell you to take your baby swimming. While, swimming is very good and it can be very tiring that is not exactly the trick I am talking about. Get to know your newborn, and you will quickly learn what makes your baby tick. 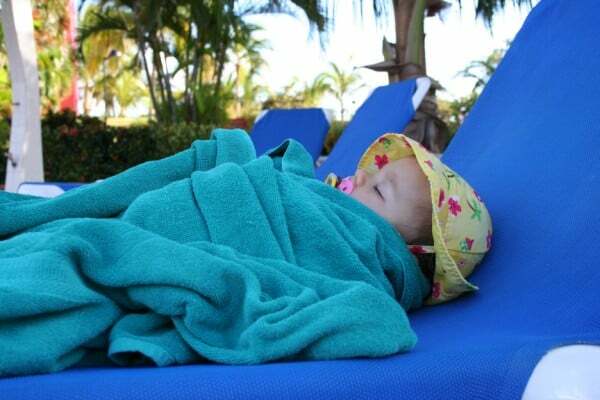 This mom and dad quickly noticed that every time they took their elder child to swimming lessons, the baby would sleep. So they mimicked the noises that were quite obviously having such a soothing effect on the little one. "Lavender! I put some drops on a tissue, and put the tissue on the floor near the crib, and it works its magic." Essential oils are all the rage right now, people use them for many different reason, but usually it is to provide some type of calming effect. The baby companies know this, and that is why you will see a lot of baby hygiene products that contain lavender to help them go to bed at night. A lot of moms swear by all of these products, and that is why their little one is sleeping better at night. A lot of information we hear, we always wonder if it works. This is the age of information with sometimes just way too much. It is refreshing to hear tips and tricks from mom’s that actually work. Now, it worked for them and their baby but it may not work for you and yours. It is worth a shot though. This is a weird one, and I am not sure if I should be endorsing it, but hey if it works you got to do what you got to do! I do think that for some unknown reason, babies are naturally climatized depending on when in the year they were born. This couple’s trick is definitely unique and weird, I have never heard of anyone doing something like this and it actually working! Just please make sure everyone is dressed appropriately before you try this one! You don’t want a sleepless, sick baby! 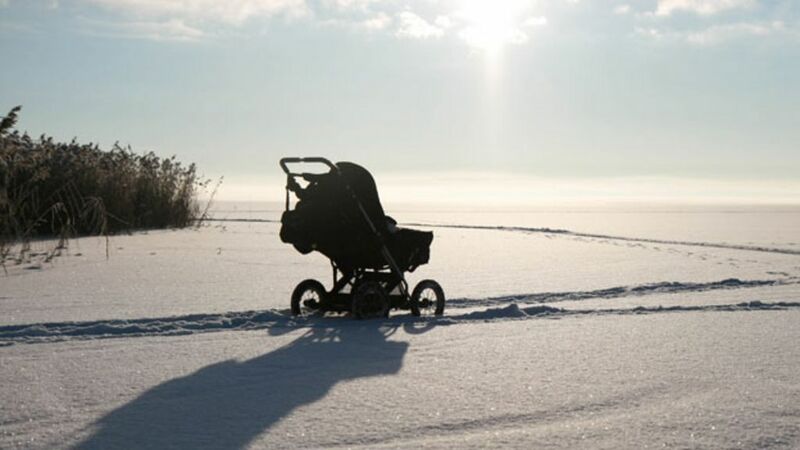 "Put baby in a hiking backpack and walked two-plus miles every night after dark." We all know the time honoured trick of taking a baby for a walk or a car drive in the middle of the night to get them to sleep. This is one that has been done numerous times, by many a desperate a parent. Well, this family decided the best thing to do was to take their little one for a two mile hike every night, after dark. We hope this family enjoyed hiking (I do not), and that this was just as much fun for them as it was calming for the baby. 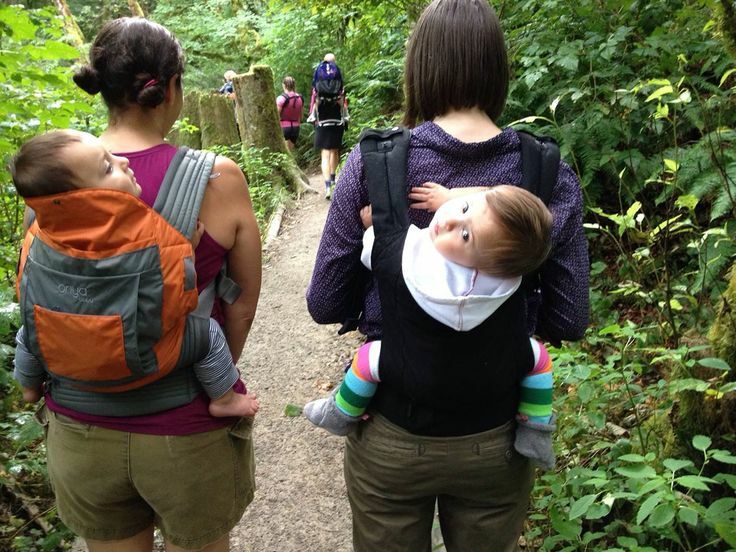 If you are not much of a hiker, baby-wearing is always going to bring comfort to your little one, and calm down a fussy baby. So, if you are afraid of the dark, or the creatures that come with the dark, maybe just take your little one for a walk around the living room. Even better is if you own a treadmill. "My oldest was two when Monsters Inc. came out, and he loved it but was scared of Randall. He was really bad about going to bed and would fight, and fight, and fight to stay awake. One night, I was stretching and my toenail scraped along the wall and he freaked out huddling down saying that Randall was after him. I looked at him and he was laying so still with his eyes closed tight and the horrible Mommy that I am told him, 'If you stay really still and go to sleep Randall can't find you.' Five minutes later, he was out. I used that trick for two years without fail and now that he's 13, he still laughs and tells his friends how his mom got him to sleep at night." OK, this one is not for a newborn, or a baby, but sometimes toddlers give us a run for our money when trying to get them to sleep at night. This mom has some very creative thinking skills, and I would like to sit down and have tea with this woman! "I put her in her car seat, put the car seat on top of the dryer, and turned it on." This is one that has been passed down from generation to generation. 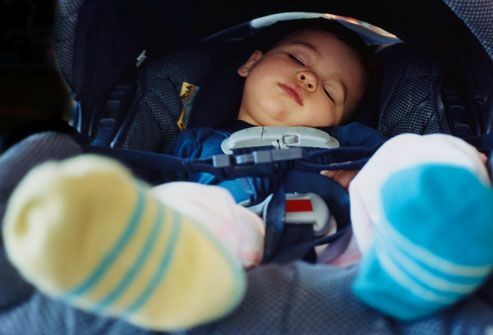 If you need to get your baby to sleep, or even to just calm down a little bit, place them in their car seat and on the dryer. Now, in order for it to work you have to turn the dryer on. Whether it is the noise or the motion of the dryer, something about it just works! I was even told to try this one on a particular day my little one did not want to calm down. Dryers also will give off some heat when they are running, which can be calming to babies. Bonus points is you can get some laundry done at the same time. Just please don’t leave them alone on the dryer in the car seat, as it could very well just bounce them right off. "The only way I can get my son to calm down and go back to sleep after feeding and changing him is to let him lay on his belly on top of me or my boyfriend! That's the only way! It works even better if I am shirtless and he is shirtless." This is one we are told time and time again, but to ensure we cover all bases, I am adding it to the list. Skin to skin contact is so very important, and it is something that is encouraged throughout many hospitals. Babies will instantly feel calm when they are cuddly skin to skin with mom or dad. This is one of the best ways to calm a baby down and get them to sleep. It works so well that this is how a lot of parents get some much needed sleep themselves. They all cuddle up and just relax together. "The only thing that worked for her for quite some time was singing 'BINGO' (was his name-o) while touching her face. You had to sit down with her facing you in your lap, sing the song over and over, and just run your fingers over her cheeks. No other song would work and you could not skip the face thing. Otherwise she would fight sleep and cry like you wouldn't believe." Babies love to be sang too, and it is something that would almost instantly make them calm down and get some shut eye. If it doesn’t work for your little one, maybe you just haven’t found the right song yet. This mom definitely did and found herself singing it every time she was trying to get the little one to sleep. She also added in a freebie tip, to gently stroke the babies face. This one did work with my daughter. "I don't do eye contact before bedtime. It always got her even more energized and excited, so I stop it about 20 minutes before it's time to put her down." As weird as this one sounds, it is actually very true. This mom will not make eye contact with her baby for about 20 minutes until she falls asleep. 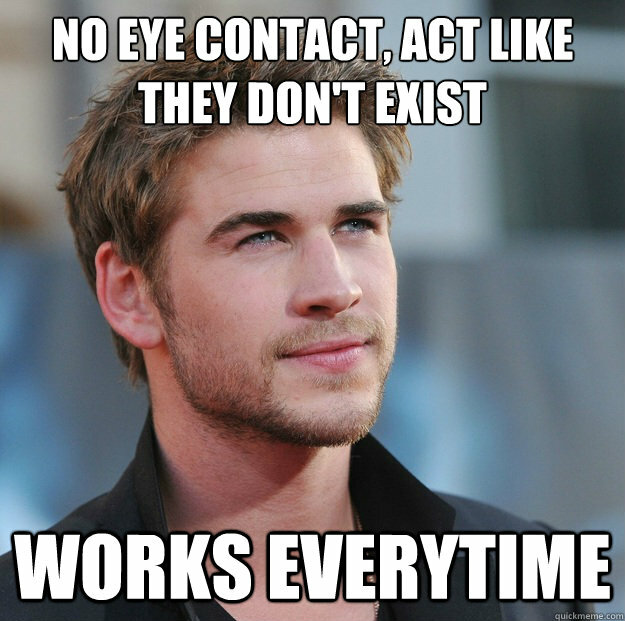 I always tried to avoid eye contact as well. It seems like the moment you make eye contact with a baby that is about to fall asleep, their little eyes just bounce right back open and you are back to square one. It almost is like a challenge. It really is because eye contact plays a large role in how you communicate with your little one, and they just love staring into your eyes. If you are trying to get a baby to sleep, or back to sleep, you must make things as boring as possible! "We got a box fan, and he used that for years. When I wanted him to wake up, I'd turn the fan off and his head would pop right up." The use of fans is very popular among tired moms who just want their little one to close their eyes and go to sleep. Fans work for multiple reasons. The biggest reason is due to the fact that it omits white noise, much like a lot of the other suggestions. It provides the comforting sounds that mimic the sounds that were heard in the womb. The use of a fan in a baby’s room has also been speculated that it will help reduce the risk of SIDS. It keeps the air circulating in the room, which is comfortable to anyone. A good tip is to get a blade less fan, that way when the little one starts moving, their fingers won’t get trapped! "My husband had to lay my daughter on his chest, lay on the kitchen floor, and spin in circles." This may be the weirdest one on the list, and it just goes to show how parents will do just about anything to get their baby to sleep. I would like more follow up information on this one, what made the couple think to try this? That is some pretty creative thinking if you ask me! There will always be weird tricks to get the baby to sleep, and some of them may just be worth trying. New parents are desperate to get some sleep, and will try just about anything. So, even if it sounds weird, go for it if it works for one it may work for another. I wonder if he had to keep spinning in order for her to stay asleep? Like, did she wake up as soon as he stopped? I hope the dad didn’t have to spin for hours. "One of my daughters had her nights and days switched around. I told my mom and she said turn her (somersault style) head-over-heels three times. I was so desperate, I tried it. Sure enough, it worked. She was sleeping eight hours at night (most nights) by 6 weeks old." One of the most dreaded parts of a newborn, is that they usually have their days and nights completely messed up. This is usually something that we just accept and try to slowly change over time. This mom was told what is obviously an old wives’ tale by her mother. While, we want to make sure that if you want to try this, to please be safe. I wish I had heard this when my baby was a newborn, as I am curious if it actually works. It obviously worked for this mom, but maybe she just got lucky? "I make painful noises, as if I'm so tired, it hurts. They always take to that, because that is how tired they feel! So they feel heard, and they know I am aware of their pain. Just rock them to those noises and they all fall asleep!" Ok, when you become a parent, you do start making all sorts of weird noises. What I have started to do is mimic my daughters whine when she does it. She usually does stop, for maybe a second, so this mom’s logic may not be so out there. Of course, if you try this one, you do run the risk of scaring the crap out of your baby and then I don’t think any amount of noise will get them to sleep. You may just have to wait and try again later. Something about it worked for this mom though, so if you are just that desperate, maybe give it a try! "When my son was starting to out grow his nap around age , the only way I could get him to sleep was to have him lay on a blanket and drag him around the house." OK, this one made me definitely laugh out loud. I got this crystal clear mental image of this poor mom having to drag her toddler around the house on a blanket to get him to sleep. When kids are outgrowing naps, it is a very tricky stage. They do and don’t need the nap which can make for some very cranky kids. Cranky babies, toddlers or kids are no fun for mom and dad, so they will do anything to get them to have even just the shortest of naps to tide them over until bedtime. I found distraction always works, but sometimes you just got to grab that blankie and take them for a ride. "My youngest went through a period where she'd only sleep in her swing, facing the fireplace, with a fire going. We went through sooooo much firewood." It was a great day for parent everywhere when the swing was invented. I don’t know if I have ever heard about a baby that did not like being in the swing. The rhythmic rocking is enough to put anyone to sleep. What makes this one a little different is that the baby would only sleep when it was facing the fireplace, and when the fireplace was on. I mean, it is understandable, who doesn’t love a nice and warm fire. It makes for a cozy atmosphere with the heat and the ambience of a burning fire. I do think they would have gone through an absurd amount of firewood, and if they didn’t live near a forest, it probably got a little pricey. "When my daughter was born, the fish tank used to relax her to sleep. I know it's pretty crazy, but it worked!" Who doesn’t love fish? Well, a lot of people probably don’t, but babies love them. They love to look at the tank and see all the colourful fish moving around inside. If you want a laugh, take your baby to the local aquarium and watch as they become hypnotized by the little swimming fish. Some times the tips and tricks we know happen by accident, sometimes a parent will just notice something that works in calming their little one down, and they just roll with it. All the power to you, every mom and dad has to do what works for them! Sometimes their tips can help another mom, so if you are having a hard time getting your little one to close their eyes, maybe it is time to invest in some fish! "White noise. For a while Emilee wouldn't sleep until either the TV or the stereo was put on static. For some reason it got her to sleep and kept her asleep as long as it was on. Didn't do a darn thing for my husband and me, but it helped her sleep so that was all that mattered. Thankfully, we only had to do it for about two weeks." You may notice that there have been more than a couple tricks on here that involve a fair amount of white noise. There is a reason why: IT WORKS! I am an advocate for the use of white noise, as it is one of the best sleep methods out there, and it is free and easy to wean. Sometimes, white noise can be disturbing and prevent mom and dad from sleeping, which can be an issue if they are sharing a room. Every family has to do what works for them, and maybe if white noise works for your little one but not so much for you, it may be a perfect time for the big move! ``If your baby is the type that wakes at night hungry, a dreamfeed might help. Coined by Robert Bucknam, M.D., in On Becoming Babywise, the term dreamfeed refers to a parent-directed, late-evening feeding. Instead of waiting for her to wake up hungry, feed your baby before you go to bed, while she is asleep. Some believe the extra feeding fills her belly just enough to earn a bit more uninterrupted sleep`` If the problem isn`t getting your baby to sleep, but they constantly wake up during the night, this trick may be for you. When mom stays up after her baby goes to bed (this was not me), then she may be worried that as soon as goes to fall asleep, her little angel will wake up and demand a feeding. A dream feed is a good way to get baby through the night. This is when mom goes in before she goes to bed and lets her baby feed while sleeping and then place him back in the crib. ``When you transfer your baby into the crib at bedtime, try putting your hand gently on her stomach, arms and head to comfort and soothe her. Something as simple as having you close can do wonders for your little one's security at night.`` So you got the little one to go to sleep, you place them in their crib and they are still sleeping. You say good night and you leave the room, and the crying starts. This is a little trick that not a lot of parents know. When you put your little one down and they are still sleeping, wait a few seconds or minutes before you remove your hand from their chest. They may briefly wake up when you place them down, and the sudden removal of your body jolts them fully awake. When you keep your hand on their chest for a few minutes, you give them a chance to fall back into a deep sleep again. Get practising your ninja exit moves.